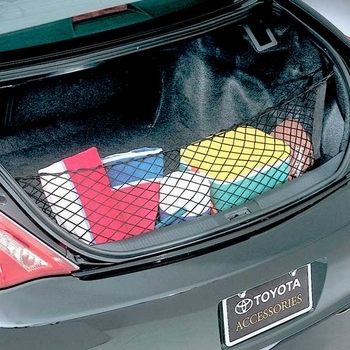 Specifically designed for your Toyota Solara this interior cargo net is a great choice. This envelope style pocket of this Toyota Solara cargo interior net will be a practical solution for small items. Keep your cargo from rolling around or blowing out with this Toyota Solara cargo interior net. For easy Toyota Solara cargo net interior installation all hardware and installation instructions are provided.